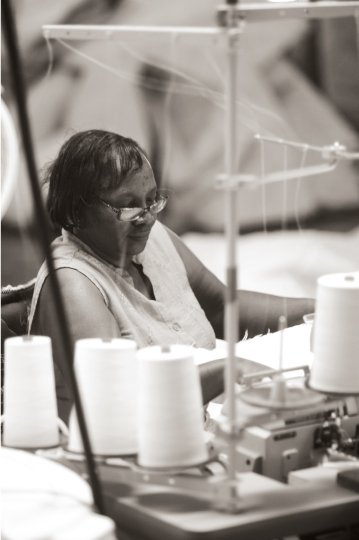 Video of a Charleston Mattress in production. The first Charleston Mattress store is located in downtown Park Circle (1078 C East Montague Ave, North Charleston, SC), across from EVO Pizzeria. We're only a mile from the factory, giving us a significant advantage over box stores, chains, and online retailers who may never see their production line. Come visit, wear your comfortable clothes and test out our displays. Our second store is located at 195 Farmington Road, Summerville, SC and is about 20 minutes from the factory. We've been providing top quality mattresses and free delivery to communities in Berkeley and Dorchester Counties for many years. The Summerville store, which opened in the Summer of 2018, makes purchasing a Charleston Mattress a little easier for customers in this growing area. The nice part is, you'll find the same mattresses and pricing in both stores. This is a family-owned company. We live in the Park Circle area and enjoy a short commute to the neighborhood store. Attention to detail and customer service still means something here. In fact, it means pretty much everything. Our experts will help you find exactly what you're looking for at a price that will help you sleep even better. We take pride in serving our customers, who often become repeat customers, and then friends. Word-of-mouth is our most common form of referral. As always, feel free to give us a call and talk to one of our local owners about your next Charleston Mattress. Customers often ask, "What's the difference between Charleston Mattress and the competition?" We offer the best value in the industry. We research and seek out the finest U.S. made materials, then construct a mattress based on optimum support, comfort and durability. When the product is complete, we work hard to price it affordably so everyone can share the experience. We’re proud of our prices, which are clearly posted on this website and in the store. Our mattresses are better, and we can prove it. Just visit one of our stores and try our different models before you buy. You'll immediately notice the Charleston Mattress difference. We still make flippable beds. That means both sides of the mattress are usable and completely finished. It's often cheaper to finish only one side, and big brands are trying to lower the industry standards with marketing that preaches that a mattress should only last seven or eight years. That's simply not true. If you buy a quality mattress and take good care of it, that mattress should last for a solid decade - probably more. Park Circle / North Charleston Location. We’re in the heart of the Charleston area’s most delightful neighborhood, Park Circle. After you buy a mattress, enjoy lunch or a pint at one of the 20 eateries within walking distance of our store. We build your mattress when you buy it. 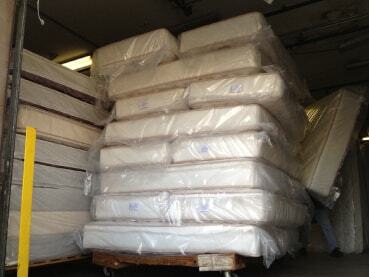 We don’t have the burden of unsold, unwanted overstock mattresses taking up space. We pass these savings on to you. Your mattress will deliver within three to four business days from ordering. Have a large order? Get exactly what you want in a few days. Buying multiple mattresses? Nobody does it better. Since we build the order when you buy it, you can buy as many mattresses as you want, in as many styles, price points, and sizes, and we’ll deliver them all in a few days on the same truck. You don’t have to wait weeks for your desired sets to arrive. 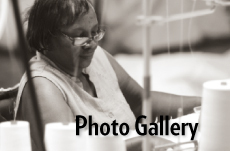 Our staff has over 300 years of combined experience in the mattress industry. Delivery is always free in Charleston, Berkeley and Dorchester counties. Set up is also free, as well as haul away of the old mattress. There are NO HIDDEN DELIVERY FEES whatsoever (ie, stairs, elevators, parking at a distance, etc.). We've been doing 100+ years in Charleston and know it's easier for everyone involved to let our professionals handle the heavy lifting! Friendly and experienced delivery. Our team has delivered over 10,000 mattresses! We make sure the job is done professionally and customers are comfortable with their purchase. We have the best team in the business! We shred the competition...literally! 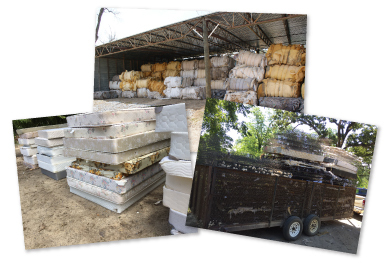 Through our BedShred.com initiative, all old mattresses that we haul away are destroyed, torn down, and the components are recycled for use in carpet padding and products made with recycled steel (never used in new mattresses, of course). Learn more at BedShred.com. If we care this much about your old mattress, just think how much love goes into your new one. PS. We’re the only furniture store in South Carolina that does this. We deconstruct the competition. Our BedShred.com initiative gives us an inside look at mattresses from online retailers and other stores. So, we know who builds the best mattresses around. Visit the store and we'll show you. Our warranty still means something. Because we do business with our friends, family, and neighbors, we're held to a higher standard; but we don't mind. There's no fine print in our one-page legible warranty. Unlike the chain stores, if you return a product, you're under no obligation to buy anything else from us. And because we have some of the most knowledgeable sales people who will never pressure you, we have less than a 1% rate of returns. Our clients are thrilled with their experience and product. You can try before you buy. Spend as much time as you need testing 17 models in the store. Visit often if you’re not quite ready to purchase. We also have a 14-day in-home trial. Family Owned. Not bank own. Meet Liz, the owner in the video below. The factory opened on Anson Street in Downtown Charleston in 1914, where Julius H. Weil began manufacturing mattresses and boxsprings at Charleston Mills. The original building is now a unique private residence adjacent to the City Market and carriage ride stables. The Weil's Mattress Co., Inc. operations moved to Meeting Street in the 1970's. This facility is now the SCRA MUSC Innovation Center at the foot of the Arthur Ravenel Jr. Bridge in downtown. In 2000 the company moved to the current plant found on Piggly Wiggly Drive in North Charleston (only 2 miles from the Park Circle Store). This 68,000 sq. ft. building is a former U.S. Postal Service mail sorting facility repurposed for mattress manufacturing, and employs some of the finest craftsmen and craftswomen in the world. Weil's Mattress Co., Inc. remains family owned and operated by Ritchie Weil, the fourth generation. As the tradition of excellence continues, the Weils are proud of the fact that so many workers have been with the company for several decades. It's this dedication to the Charleston area, repeat customers and a strong staff that has kept the company together for over a century. In the 2000's, the factory shifted much of its focus to bulk purchases from hotels and resorts. 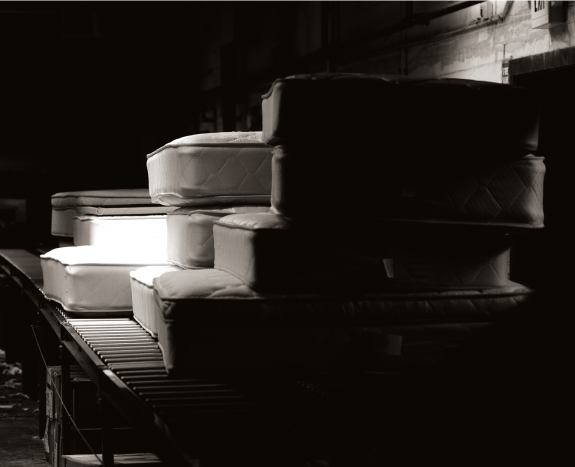 However, in 2011 these commercial grade sleep products became available for your home at Charleston Mattress' first showroom on the former Navy Base. In September 2013, the showroom moved to its current store on East Montague in beautiful Park Circle, North Charleston. The store is also family owned by Liz and K.C. Rennie, who live only a few blocks away. We take pride in continuing the tradition of making top-quality, affordable, locally built mattresses available to everyone.